Need a domestic asbestos survey in Bedfordshire Districts? P2 Environmental Consulting Ltd specialises in the provision of domestic asbestos surveys and consultancy services throughout Bedfordshire Districts. As a fully independent and trusted name in the asbestos industry we have built up an extensive client portfolio, providing domestic asbestos surveys and consultancy services to a broad spectrum of business sectors. Our domestic asbestos surveys in Bedfordshire Districts are in accordance with the current asbestos surveying guidance HSG 264. Paul is based within 10 miles of Bedfordshire Districts and is one of our senior asbestos surveyors. Being located in such close proximity to Bedfordshire Districts, Paul can ensure that we deliver a "local service" to customers in Bedfordshire Districts and the surrounding areas. 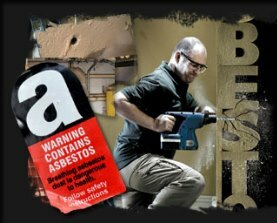 Why pay more than you should for a domestic asbestos survey in Bedfordshire Districts. Other companies often send a sub-contractor who may have to travel over 100 miles to reach Bedfordshire Districts. Need your domestic asbestos survey in Bedfordshire Districts urgently? Don't worry, we can help. We will provide you with our competitive quotation in a timely fashion, and should you wish to proceed, given Paul's close proximity to Bedfordshire Districts we can arrange his site visit as soon as you need it. Following completion of the domestic asbestos survey, our team will ensure that you receive your asbestos survey report the next working day. Impressive hey, our clients think so! Why choose P2 Environmental Consulting Ltd to carry out your domestic asbestos survey in Bedfordshire Districts? What experience have we got working in Bedfordshire Districts? What qualifies P2 Environmental Consulting Ltd to carry out your domestic asbestos survey in Bedfordshire Districts? What assurances can P2 Environmental Consulting Ltd provide prior to carrying out your domestic asbestos survey in Bedfordshire Districts? Contact us today for a domestic asbestos survey quote in the Bedfordshire Districts area, call free on 0800 043 4100 or send an enquiry from our contact page.